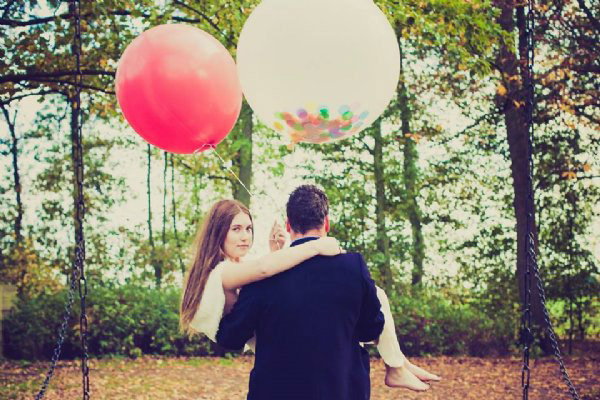 If you’ve been looking for eye-catching partyware to make your child’s celebration stand out, we show you where to find the most beautiful of balloons that children will likely cherish for as long as they hold air! I’m not fussy when it comes to paper – my desire doesn’t stop at stationery – I go the whole hog, so A Little Lovely Company partyware is right up my alley. 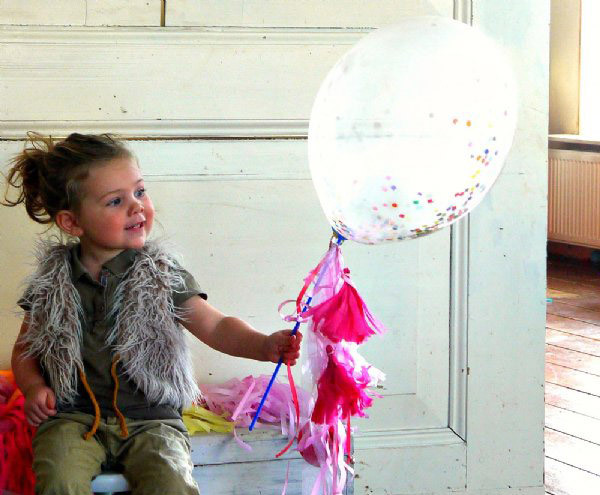 The humble balloon is a party in itself for kids, so I can only imagine the awesome effect a Confetti Balloon will have on a small child. 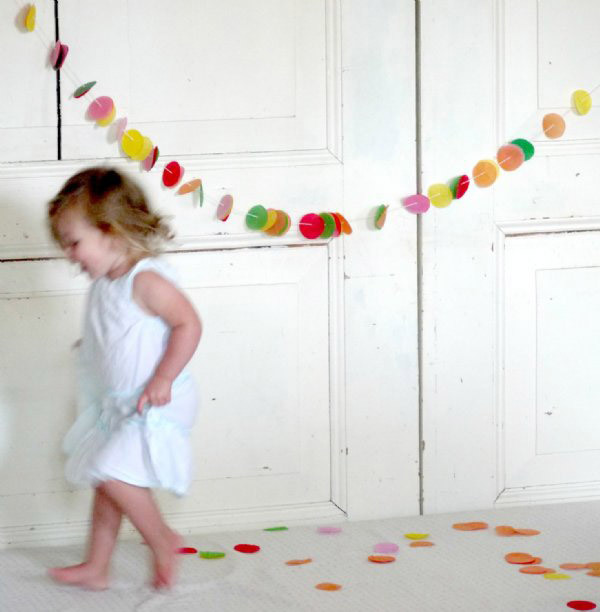 The Confetti Balloon Set ($24.95) includes five transparent confetti filled balloons, plus balloon sticks and a rainbow of tassels, mini honeycombs, ribbons and garlands to snazz them up with. If it’s a big punch of colour you covet, A Little Lovely Company has you covered with Extra Extra Large Happy Mesh Balloons at an astounding ninety centimetres in diameter and filled with candy coloured confetti, Extra Large Honeycombs measuring fifty centimetres in diameter. 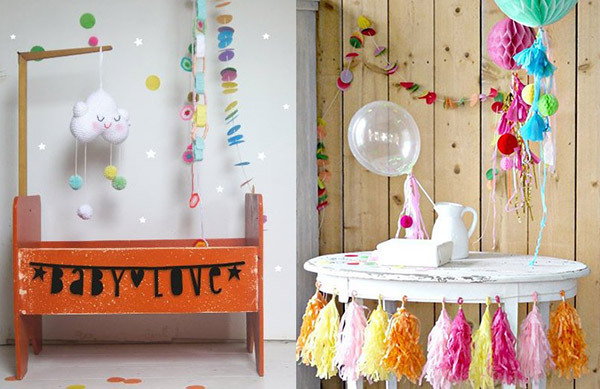 Tassel and Confetti Garlands are available in magnificent colours that are so fun the kids will beg you to leave them hanging long after the party has finished! A super popular item for both parties and children’s spaces is A Little Lovely Company’s DIY Word Banner Kit ($16.95) where you can have the banner read whatever message you desire. The pack includes a whole stack of cardboard letters, numbers and symbols that are repositionable and can be used over and over until the message is well and truly clear. A Little Lovely Company is thankfully available locally. It’s sold exclusively at The Children’s Department, which happily posts all around the nation.